Showing: 71,611 recipes : on page 9 of 1990. 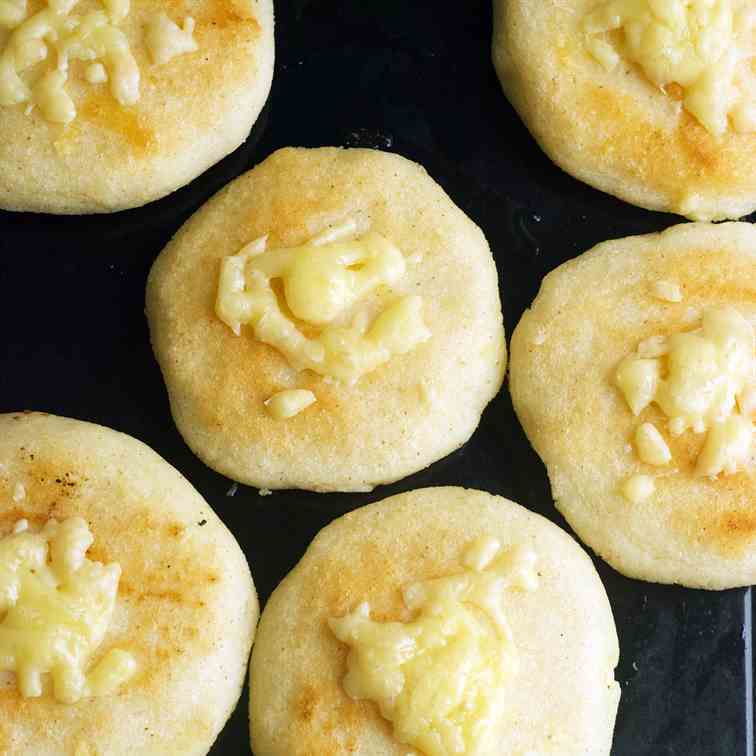 These Cheese-Stuffed Venezuelan Arepas are full of gooey, stretchy melted cheese. SO GOOD! 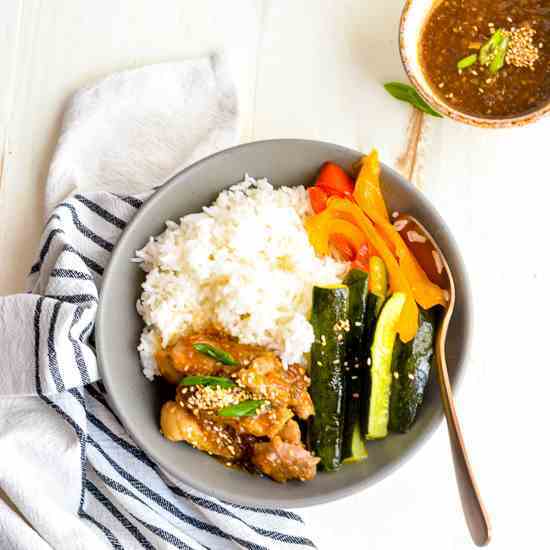 Korean chicken and veggies is the perfect meal prep solution. A delicious and easy to make a head lunch for the work week. 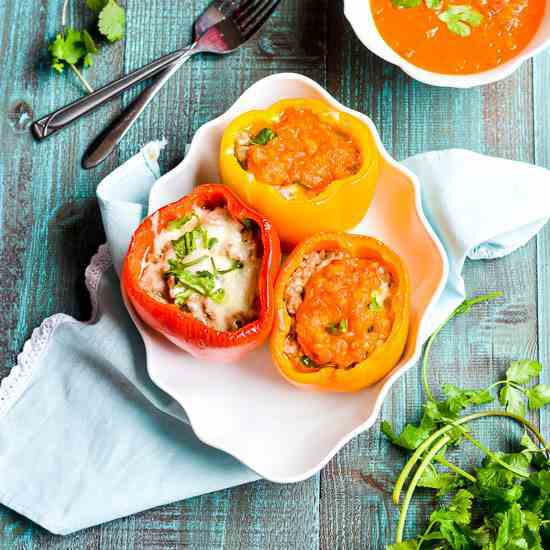 Easy stuffed bell peppers with savory pork fillings that are full of flavors, healthy and make a wonderful weeknight dinner. 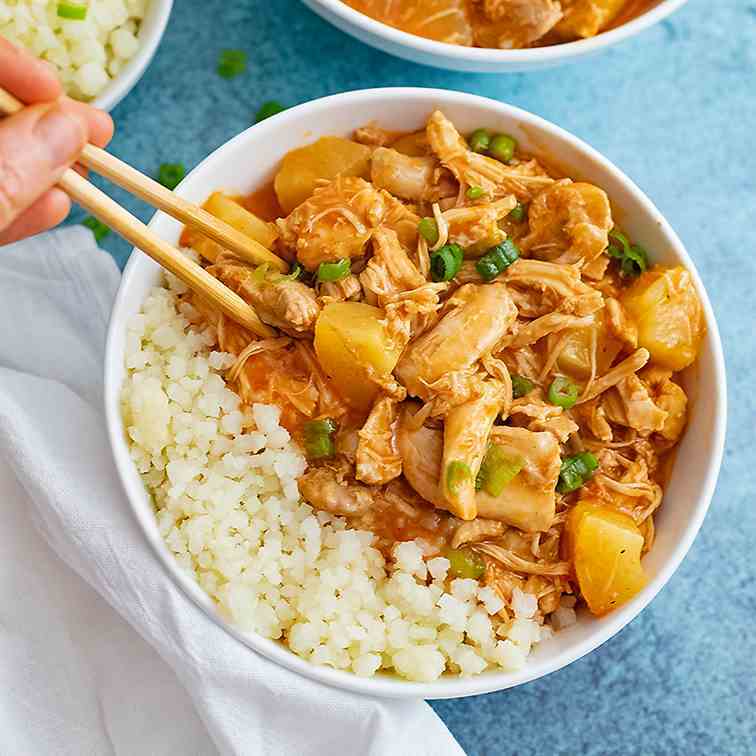 Pressure cooker sweet and sour chicken is going to become your new favorite weeknight meal! Made in 30 minutes. Roasted Edamame. 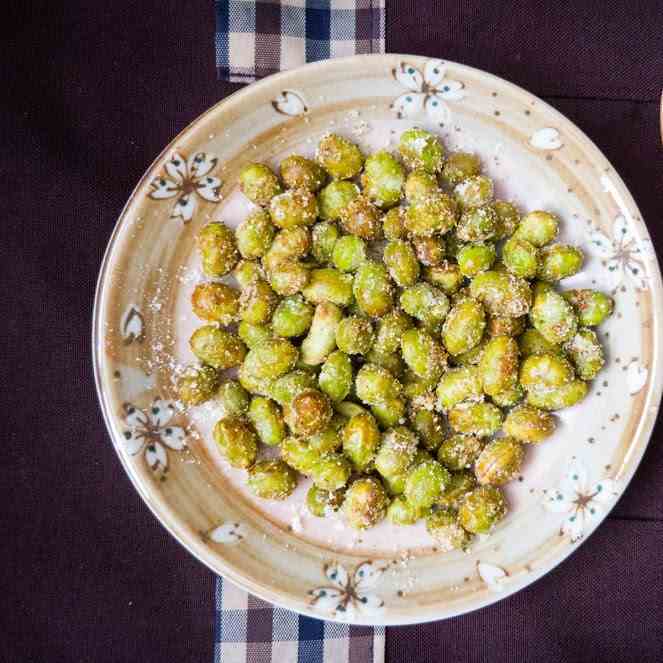 Edamame is pack with protein and is a great healthy snack any time of the day. 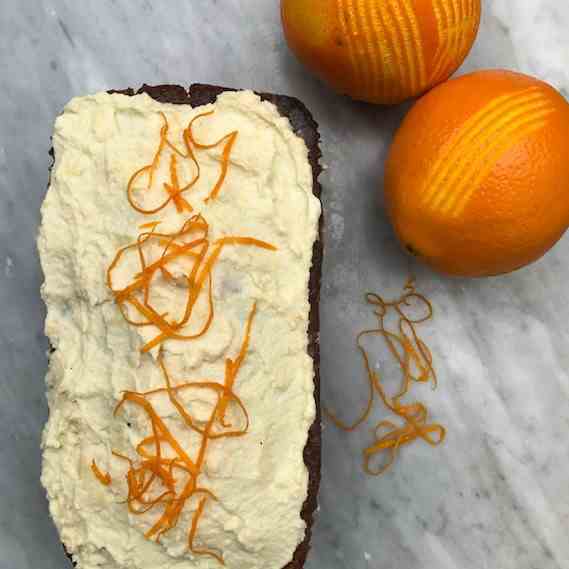 This easy cake and combines the citrus notes of Earl Grey tea with zesty orange. Perfect for afternoon tea! We should start the BBQ season So, I am preparing what can be cooked or canned in advance. 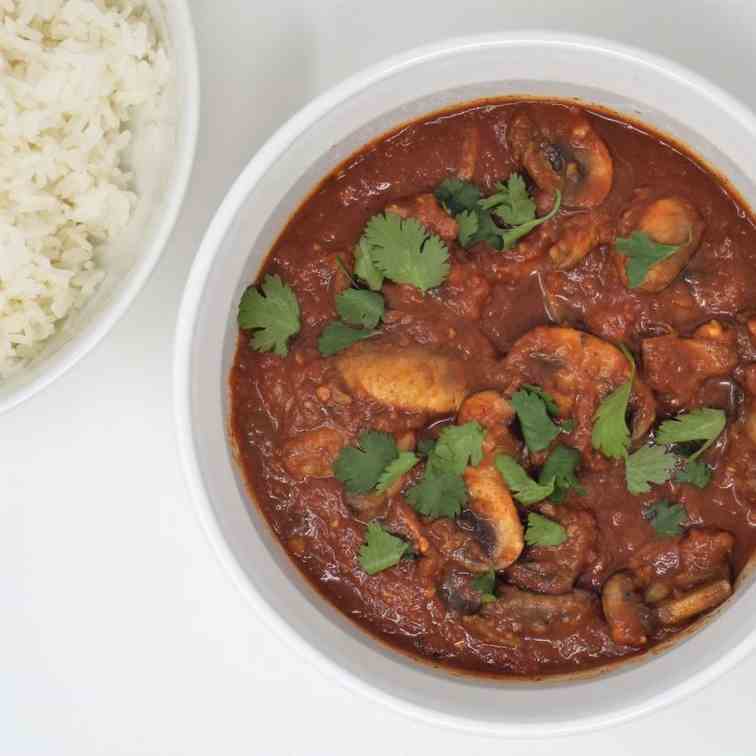 An Indian dish consisting of mushrooms in a thick curry tomato sauce served over rice. 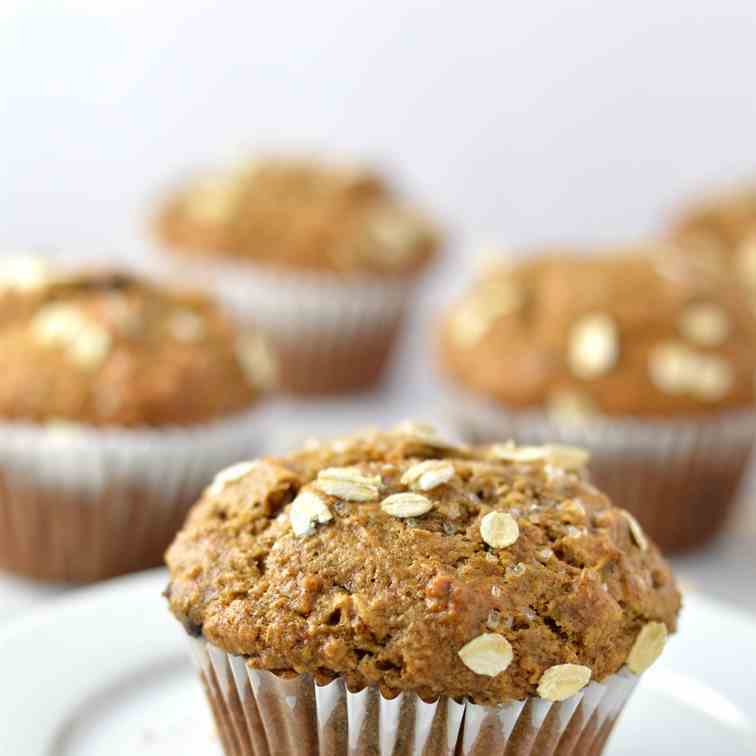 Healthy Whole Wheat Banana and Date Muffins recipe that are moist and super easy to make. 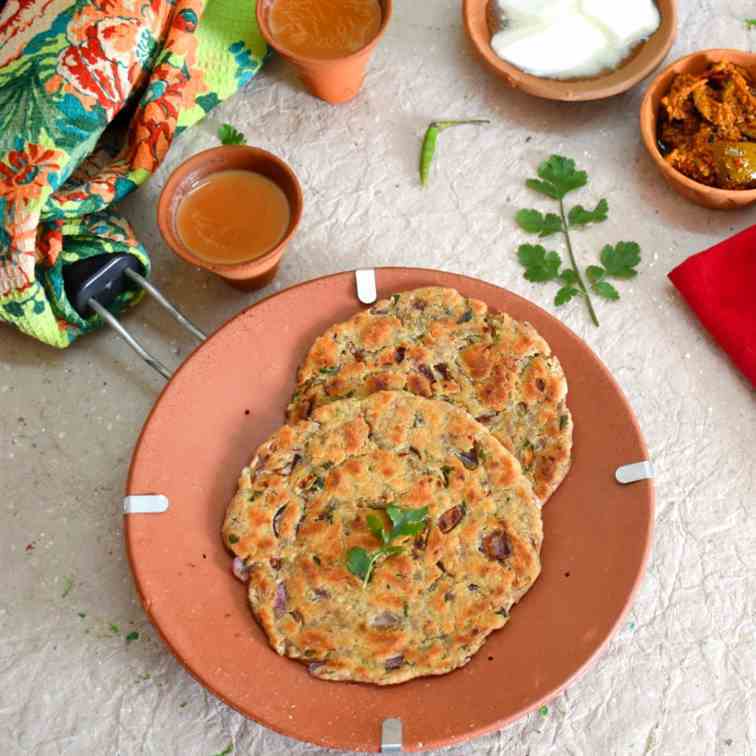 Made with oats, bran and chocolate chips, they make a great grab and go breakfast idea. 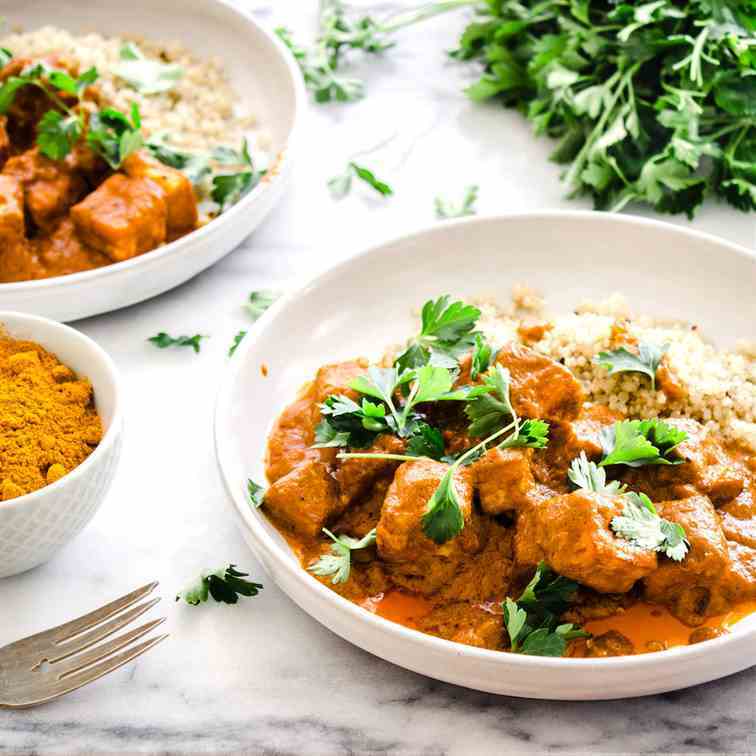 For a simple dish that will leave you nourished and comforted, try this Vegan Butter Spice Tofu (gf), made with rich coconut milk and warming spices. 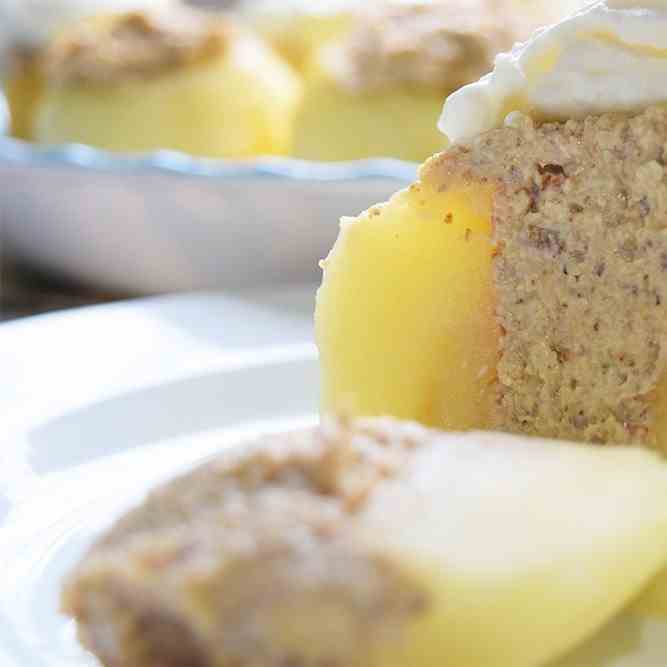 This Vegan Poached Stuffed Apples recipe is 100% vegan, gluten-free, dairy-free, and delicious! 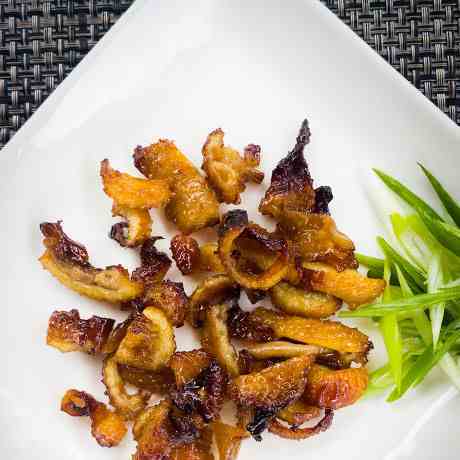 When rid of all the fat, these chicken skin strips are crispy and delicious! Look at these Doritos with cheesy pulled pork? 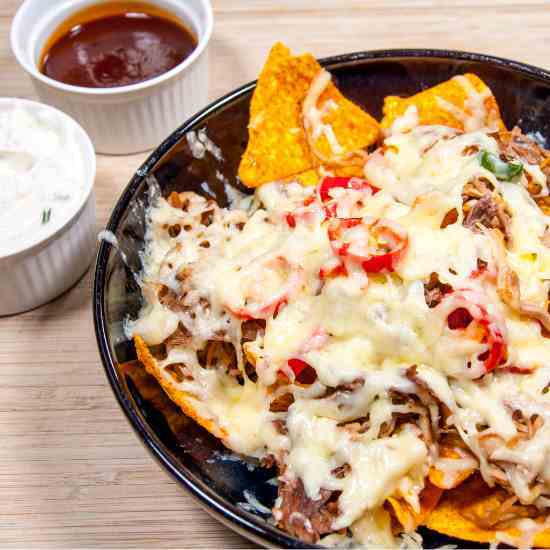 Tangy Cheese Doritos covered in spicy slow-cooked pork shoulder drowned in melted cheddar cheese. Yum! 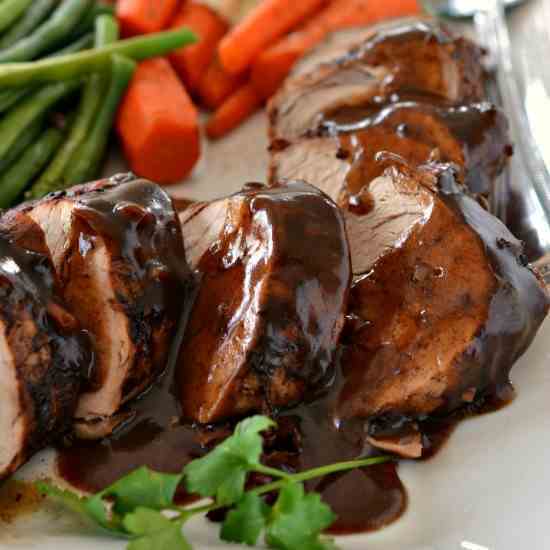 Crock Pot Pork Tenderloin with Balsamic Sauce is a mouthwatering easy recipe. With just a little more than a handful of ingredients and a few hours you can have a tender pork roast cooked in a tasty balsamic sauce. 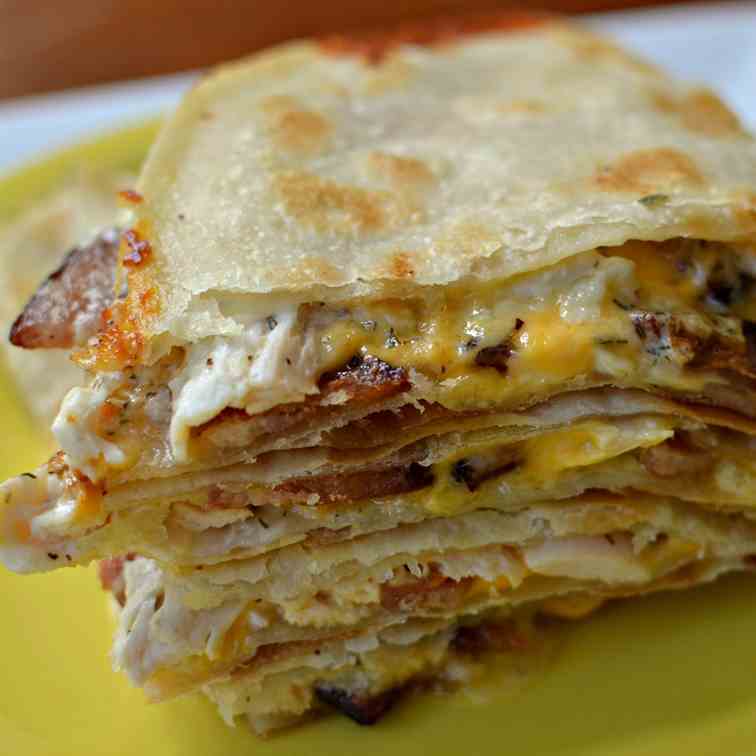 Chicken Quesadilla with Ranch and Bacon is an easy meal that comes together quickly using rotisserie chicken and bottled ranch dressing. 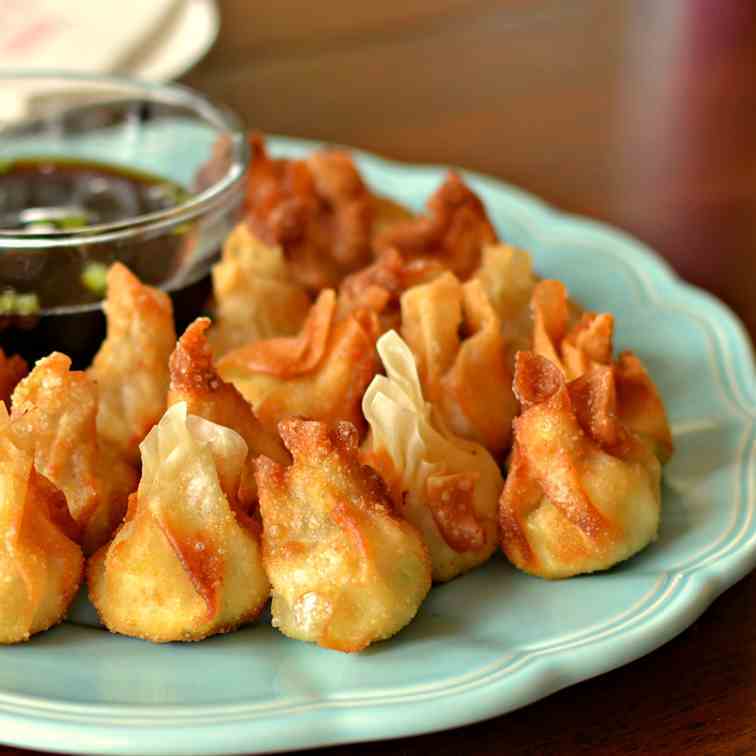 These Cream Cheese Wontons are filled with cream cheese, chicken, Pepper Jack and a perfect blend of spices. 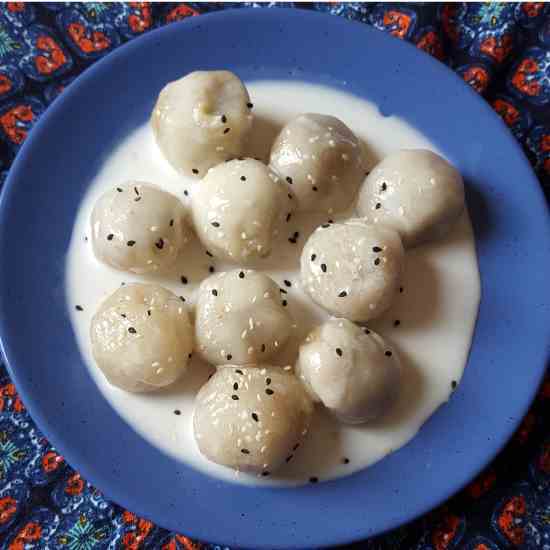 These chewy, vegan tapioca dumplings stuffed with sweet potato and shredded coconut are delicious and popular in many South East Asian countries. 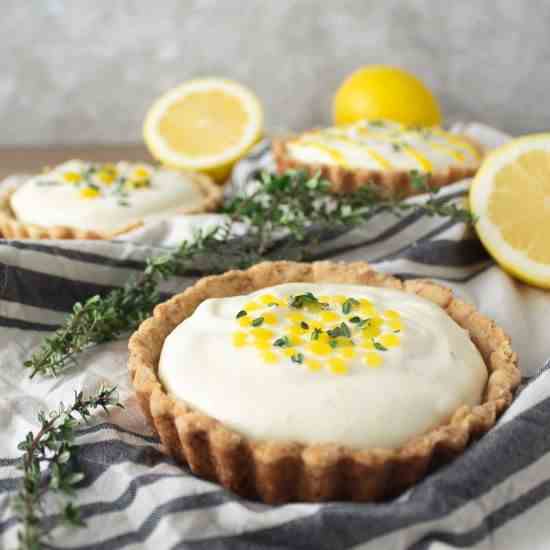 Creamy and lemon sharp, these tarts have a hint of thyme and almond, perfect for an early spring dessert. I am not calling them “Gipfeli”‘ which is the traditional name of Croissants in the German speaking part of Switzerland. Why? Because they are not made with the traditional pastry for those delicious croissants. If you do them original it takes more than 24 hours to make the pastry. Mine are made a lot quicker! 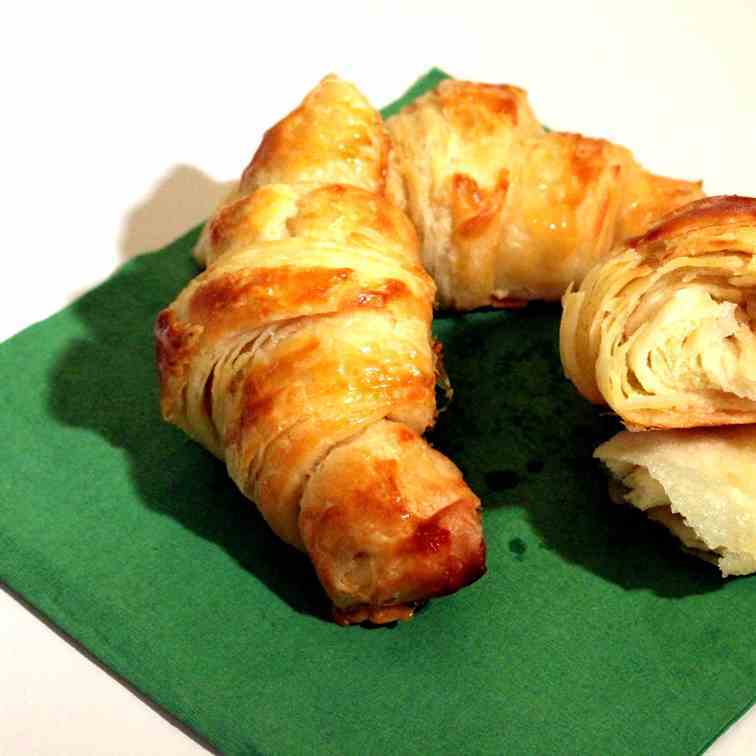 These Croissants are made with a quick puff pastry, which you can also use for pies. 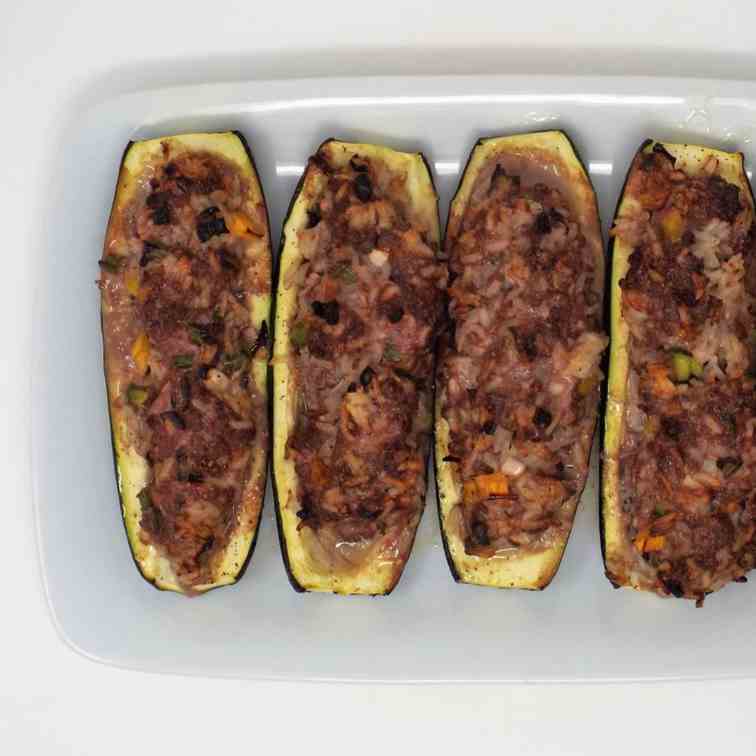 Ground beef, rice, peppers, and Parmesan cheese stuffed inside zucchini and baked. One quart of Meyer lemon syrup will make 1 gallon of lemonade. 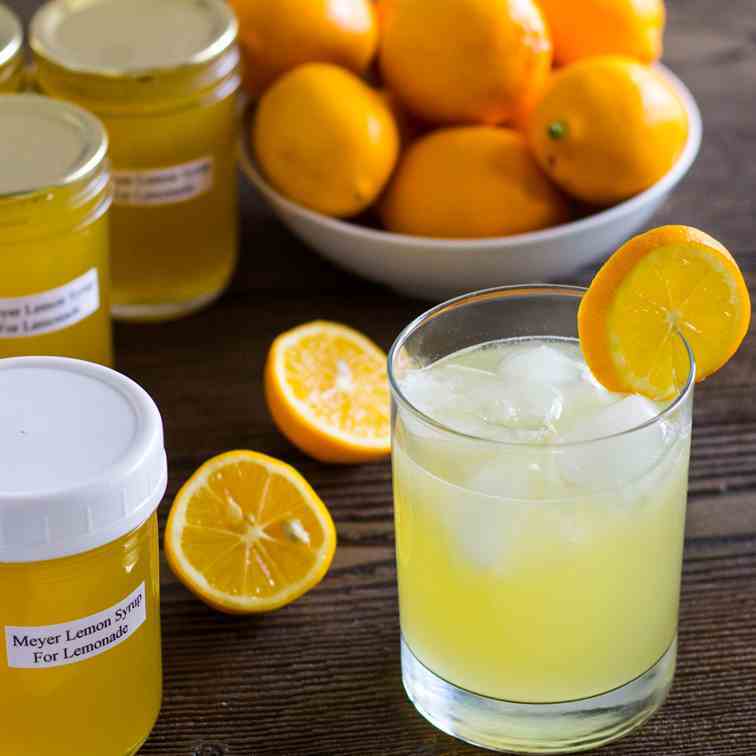 This syrup can be stored in the refrigerator, freezer, or canned in jars. 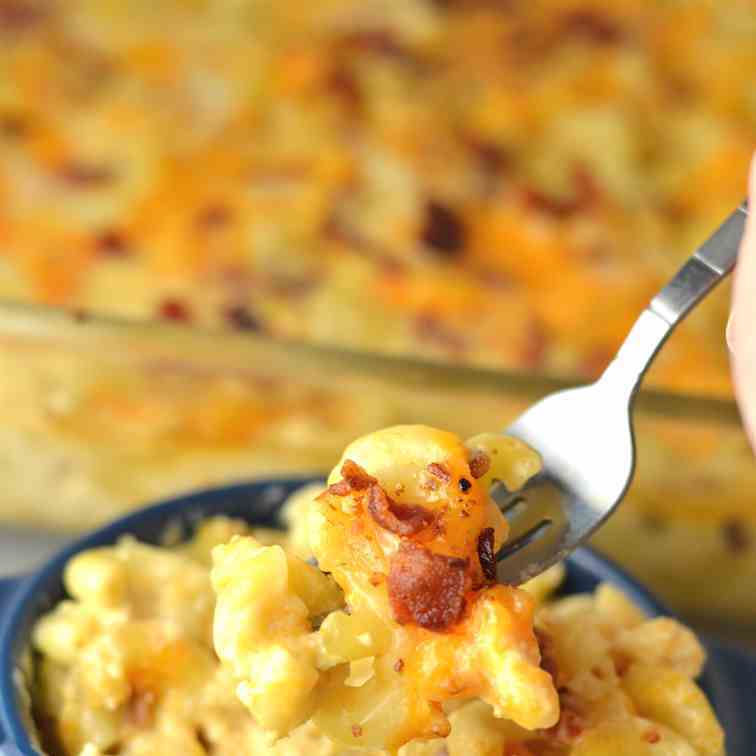 Creamy Baked Bacon Macaroni and Cheese that is so easy to make. 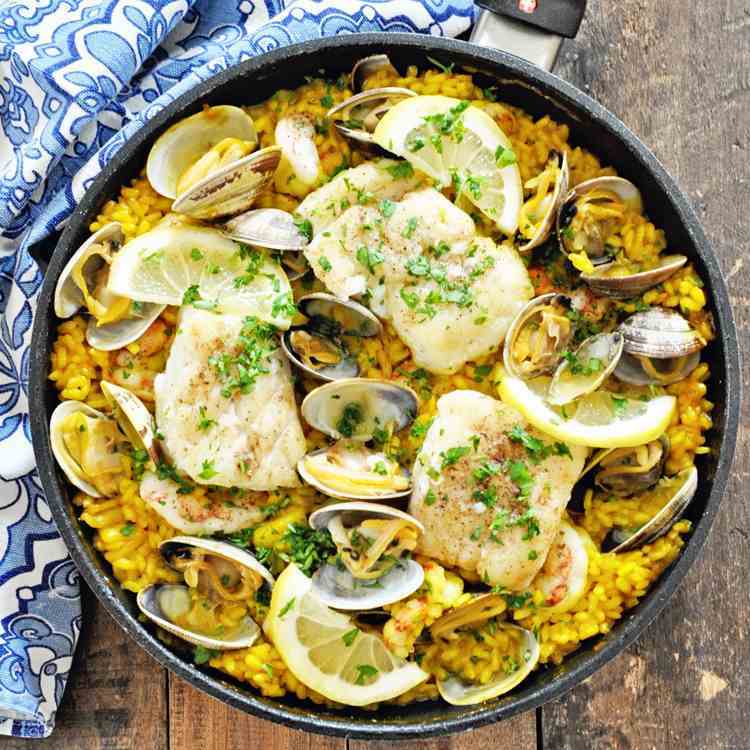 My favourite weeknight dinner recipe idea made with cheddar and mozzarella. 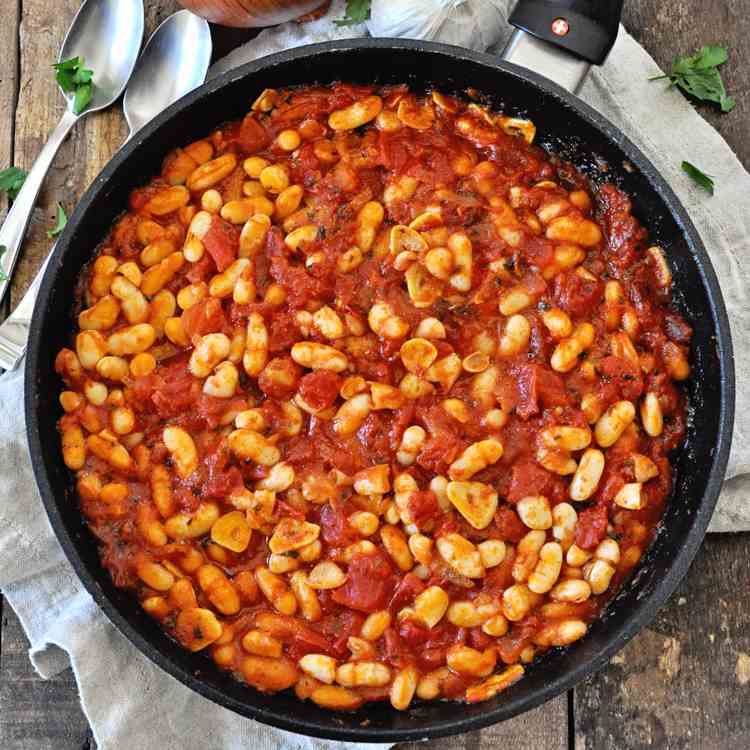 A warming one-pot meal, perfect for mid-week dinners. 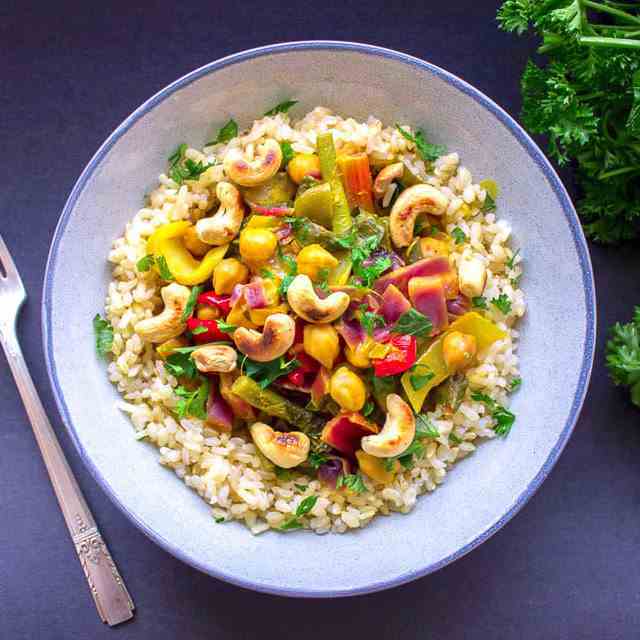 This Thai yellow curry is naturally vegan, gluten-free and wonderfully comforting in cooler weather. 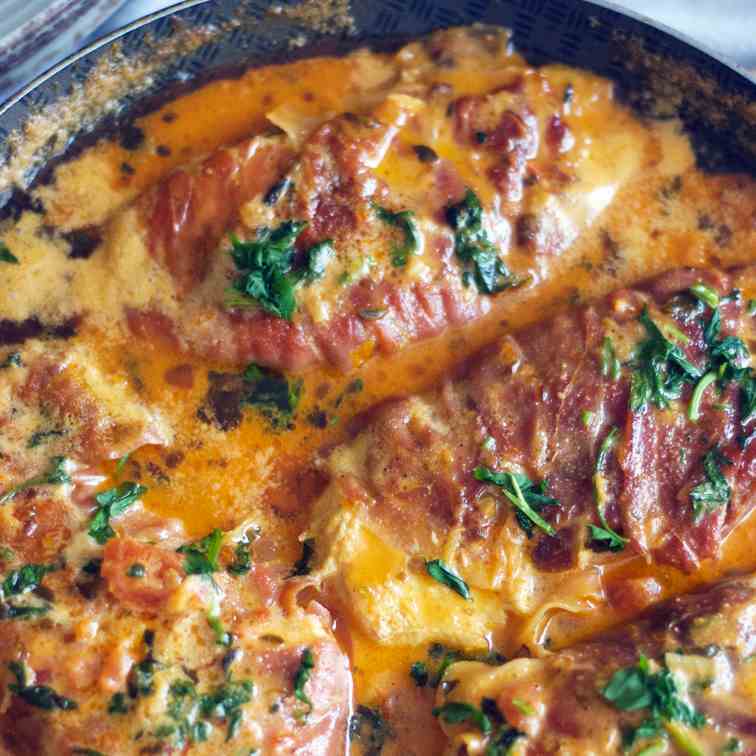 This one-pan Prosciutto Chicken With Creamy Sun Dried Tomato Sauce dish is full of bold, big flavours! Delicious rich, creamy sauce, crispy prosciutto, and juicy chicken. So, so good! 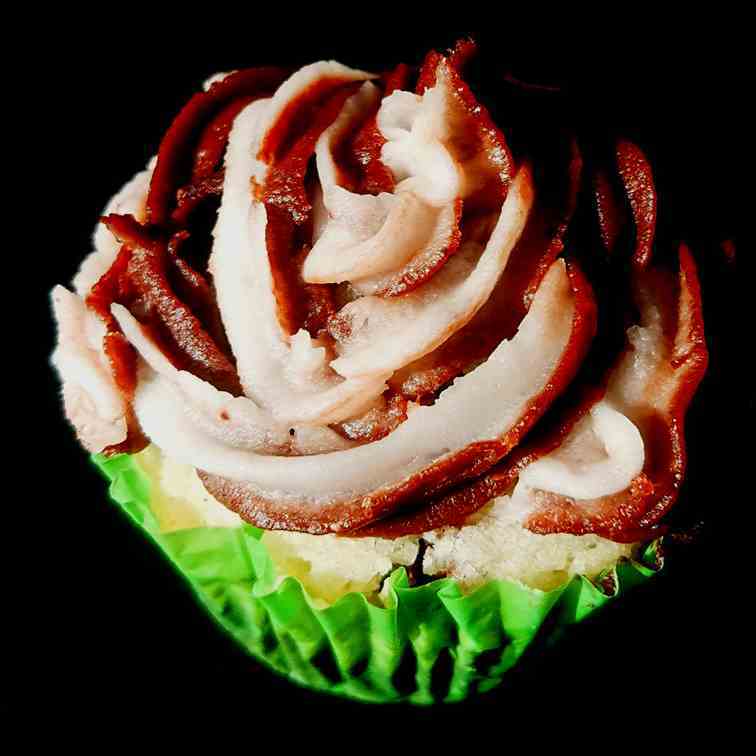 And it'll be on your table in less than 30 minutes! 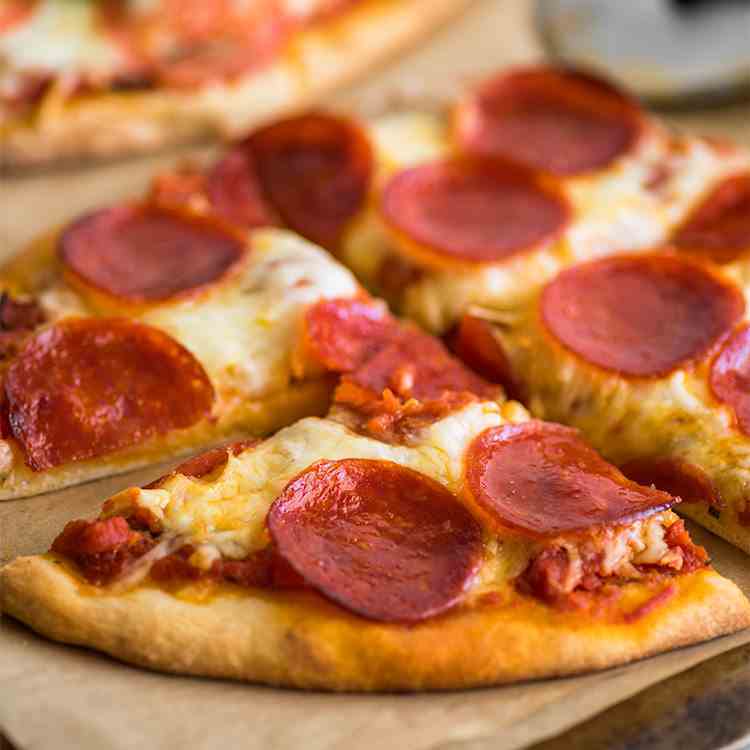 Naan Pizza is the perfect no-fuss meal for busy weeknights. It’s just so reliable, easy, and best of all, GOOD. 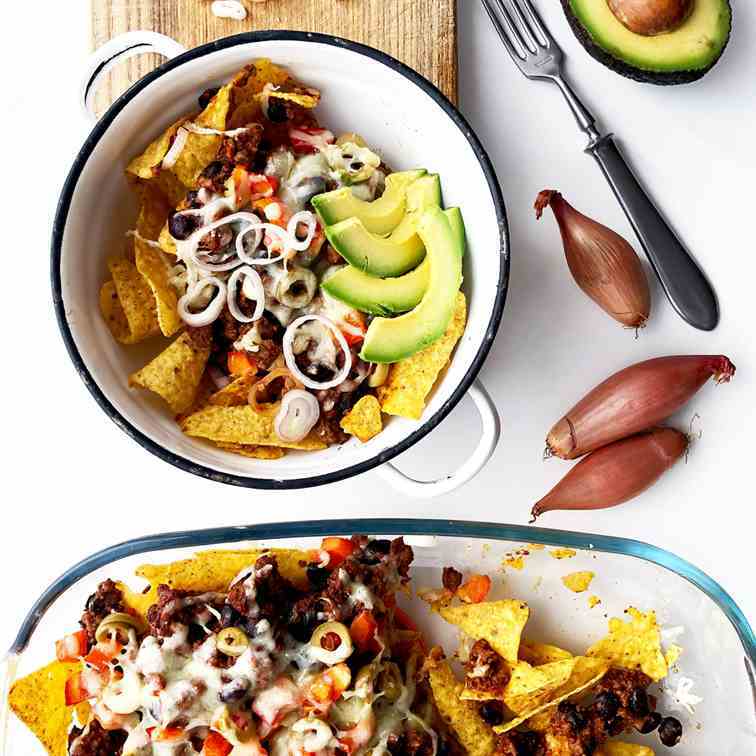 This is our easy way how to make nachos with Doritos and leftover bolognese sauce. The recipe is a real time saver that needs just 10 minutes in the oven. 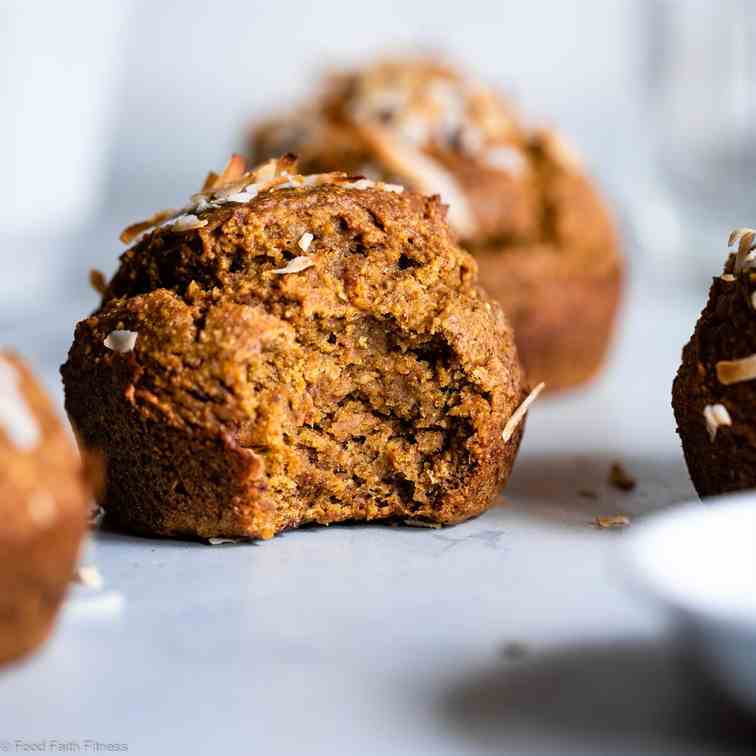 Gluten + Sugar Free Garam Masala Carrot Muffins- Light & fluffy with a surprise spicy-sweet flavor! Naturally sweetened with dates! 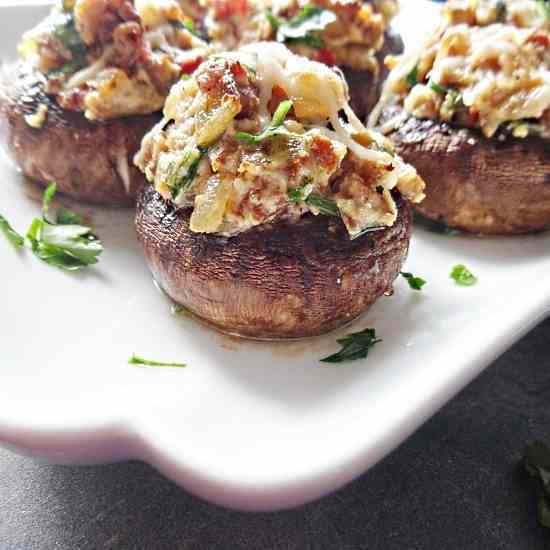 These delectable stuffed “shrooms” will have you drooling before you even take your first bite! You may want to have a fork handy to retrieve all the bits that get away. 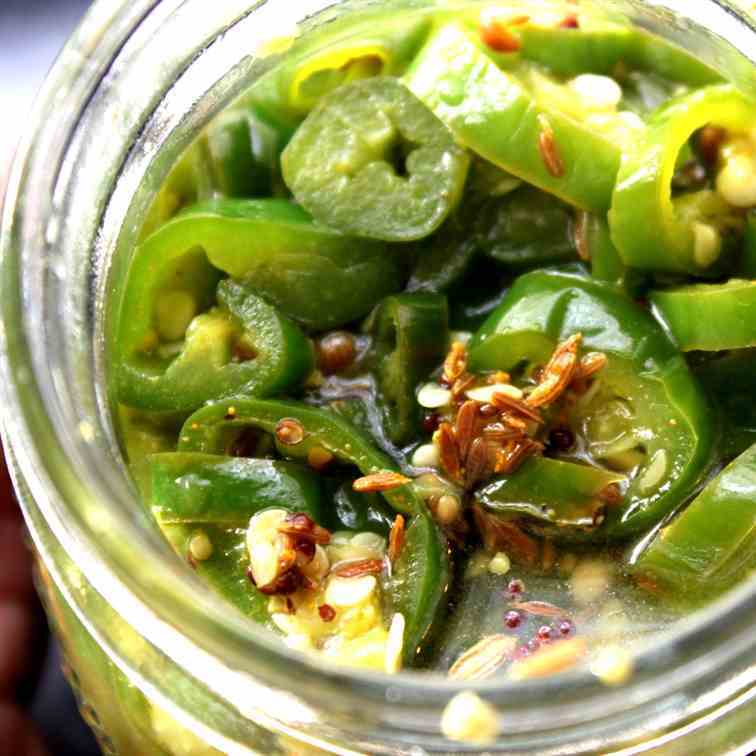 Great for a side dish, appetizer, potluck, or party. 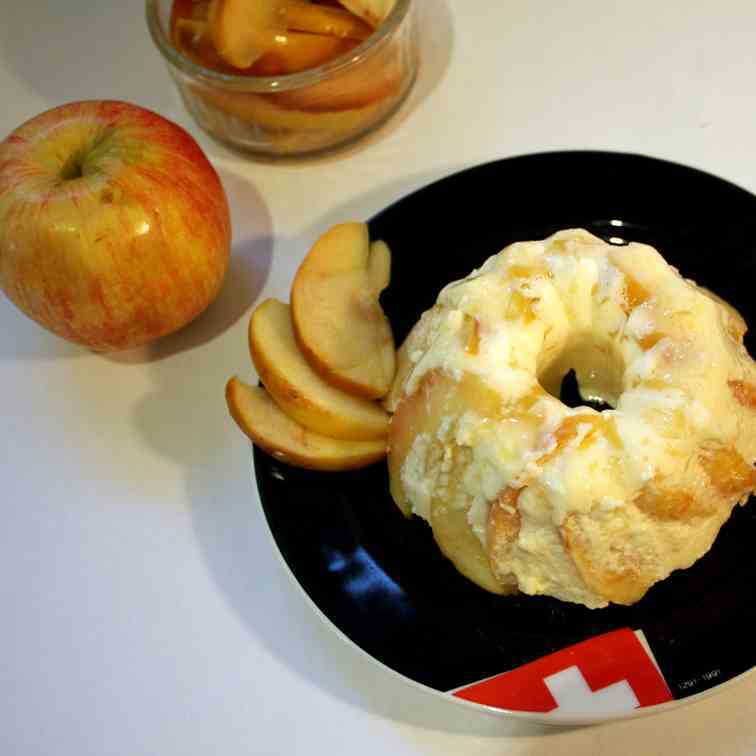 Plan to make at least a double batch! but to my surprise it was easier than I imagined and the Charlotte came well out of the little gugelhopf/Bunt cake forms. 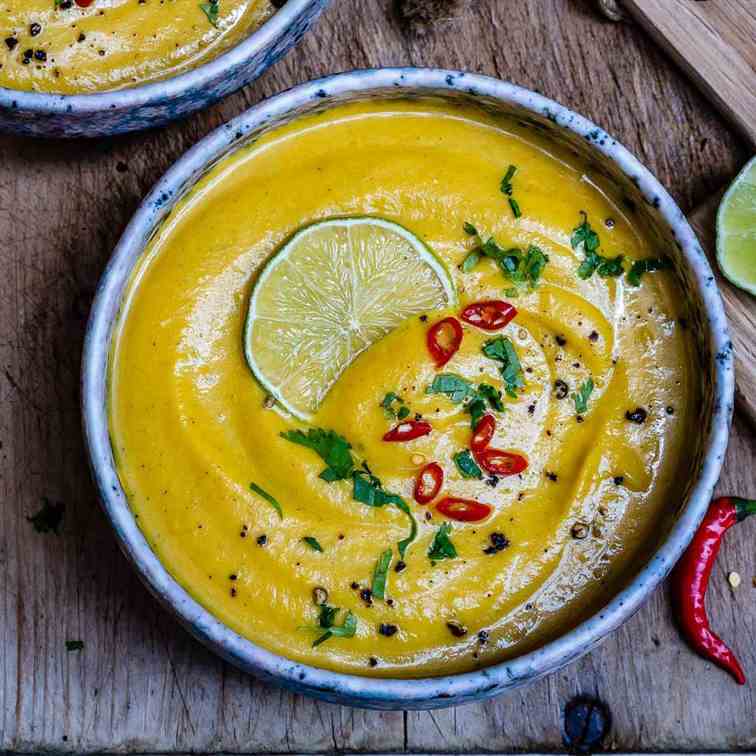 This curried cauliflower soup takes just 20 minutes to make. 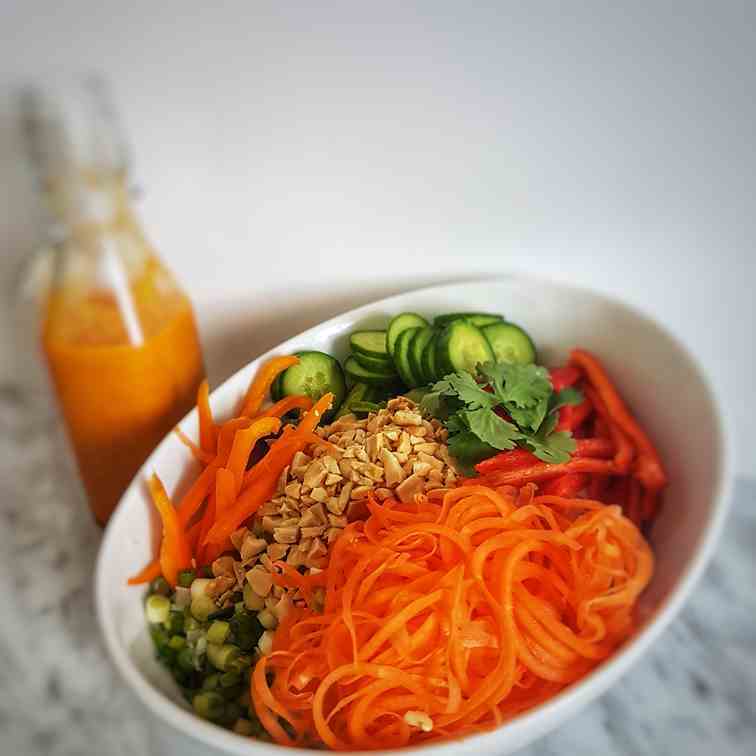 It’s a super easy Paleo recipe, vegan, and Whole30. How-To Video Included. 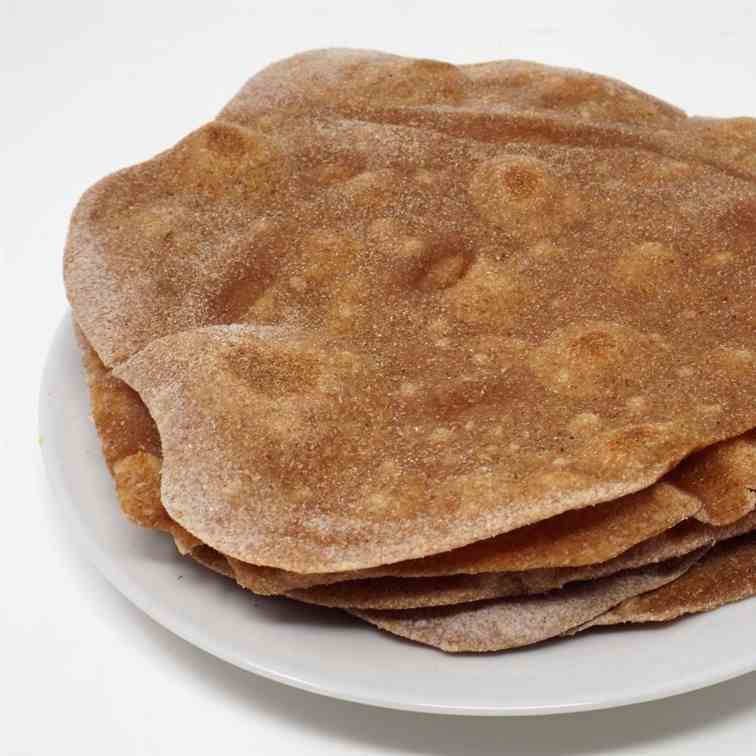 A type of Indian roti (flatbread) made with whole wheat flour, water, and salt.